Precision Conventional EDM machining provides accuracies to .0002” and superior surface finishes. Our EDM Machining Services are an extremely accurate method of producing a part for high quality, close tolerances. 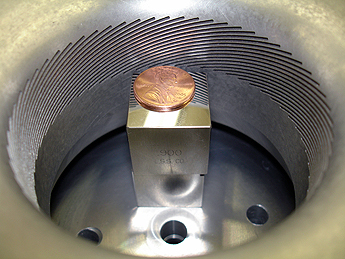 Conventional EDM or sinker EDM technology is critical for advanced superior tolerance of parts, repeatable and extensive tooling with ultra fine finishes. Our customers rely on us to quickly, accurately, and economically produce EDM parts and components that defy traditional manufacturing techniques. Bring us your EDM questions, we are ready to meet your demanding schedules with precise EDM parts in both prototype and production quantities. 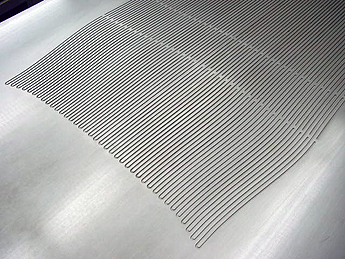 Wire Cut Company has earned a reputation for quickly and economically producing conventional EDM parts that defy traditional manufacturing techniques. Engineering assistance with complete CAD/CAM support is available at every step of the development process to ensure the creation of a cost effective Conventional EDM design. Offering a full EDM sinker and EDM Conventional service capabilities in most every material from stainless steel to titanium. Let us help you with all your complex parts requirements aerospace EDM parts, medical EDM parts, defense, satellite EDM parts, commercial, OEM.